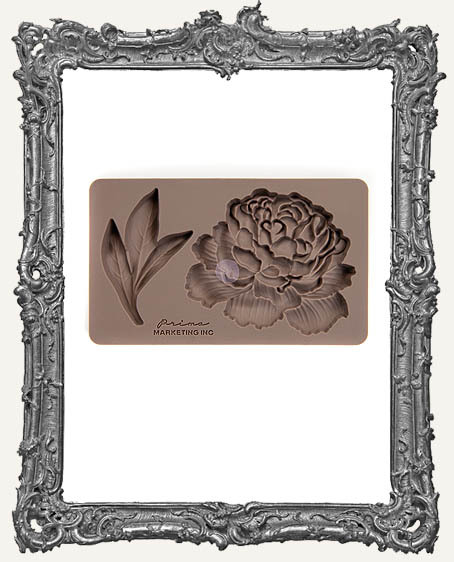 * Gorgeous silicone molds to create beautiful dimensional baroque pieces to embellish your décor and art projects. Use over and over again! * They play well with so many types of media - air dry clay, paper clay, polymer clay, earthen clay, resin, hot glue, soap, candle wax, even chocolate, fondant, and dough (food safe rated)! Use them to decorate cakes, cupcakes, and more. Practically any molding medium. Ooh la la! * The entire mold measures 2.25" x 3.5". The individual pieces are a great size for so many projects! * Excellent for embellishing our Shrine Kits and Doll Kits. * Find the entire collection of Prima Moulds HERE.